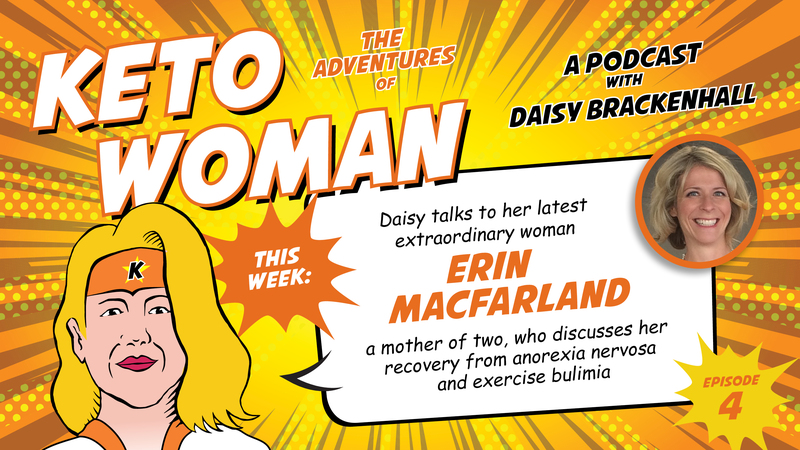 This week Daisy welcomes extraordinary woman Erin MacFarland, a mother of two, who discusses her recovery from anorexia nervosa and exercise bulimia. Erin is a 36 year old mother of two who works part time for a local food co op, and studied sociology in college. She was diagnosed in March of this year with anorexia and exercise bulimia and began recovery six months ago. Erin is especially keen to share what it has been like to have this disease later in life whilst raising a family. She started keto in 2015 after reading about its ability to improve athletic performance. She had taken up running after her second child was born, which she now realises was actually a symptom of her already-thriving eating disorder. She is keen to share how her eating disorder progressed and why keto affected her body in a negative way at the time but also how it addressed some health issues that had been bothering her for ages. Once she realised how easily she lost weight while eating keto, Erin had to change her approach to eating this way and manages now to eat a modified version of keto. Change happens when you understand what you want to change so deeply there is no reason to do anything but act in your own best interest. Been waiting for this one for what feels like ages ! Aw thanks @VLC.MD! I am very, very happy with how it turned out! Enjoy! Let me know what you think ! This really was an excellent episode. Thank you for telling your story Erin. No doubt it will help others. I listened to your podcast last night and I was really touched by it. It was nice to hear a different story that wasn’t all about reversing type 2 diabetes (which is always an amazing story) and losing weight. It was great to hear a story about someone in their mid to late-30’s who struggled mentally with weight loss even on keto. Like you did early on, I found keto super prescriptive and almost restrictive and almost felt it was leading to an eating disorder. Thankfully, through different groups, lots of reading and patience, I have found a way that works for me. I’m always amazed at the amount of eating disorders there are out there and the fact no one talks about it. I get being excited and even obsessed about something that works! But on various keto boards over the years I have seen people stressing over eating one brussel sprout or not reaching their macros perfectly and other people almost encouraging it! I’ve also seen people follow experts like its a religion and attack anyone who questions them or doesn’t follow the plan perfectly even when the experts don’t want that! A weight loss journey for both men and women can be a slippery slope and everywhere we see people sliding down that slope! Daisy thanks for looking for different perspectives that women experience. I never had diabetes. I was never obese, but like most women in their late 30’s after having kids, I became “fluffy” and uncomfortable in my body. Insulin resistance reared its head and the weight would not come off even when I started keto and was exercising as much as I could. It didn’t take long to realize that a women with a career and young family, it was an almost impossible battle. I honestly thought this was my new body and this is how I am going to look for the rest of my life. 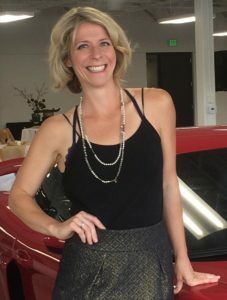 I started keto 3 years ago and while I lost 10 lbs initially, I stalled. I kept low carb despite it, but gave up on losing weight. My goal for the longest time was not to gain anymore weight and just fight off getting T2D for as long as I could (I was smart enough to realize that’s where I was headed). I’m lucky, I have lost 30 lbs in the last 8 months (by saying screw it to what I thought was the conventional keto and forging my own plan and listening to my body’s needs) but its been hard to find similar stories of people who have done it and maintained it. We seem to forget we are all different and we are all learning. Sharing the ups and downs is what keep people like me going!